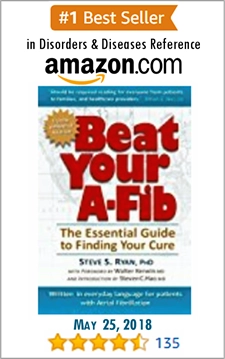 Steve Ryan had his first A‑Fib attack in early 1997 at age 56 when in apparent good health. He ran 400 meter dashes and 5K’s, lived in Los Angeles, CA and worked on the camera crew of the NBC-TV soap opera “Days of Our Lives”. He had to take disability leave when episodes of erratic heart beats lead to dizzy spells making it unsafe for him to work around heavy equipment. 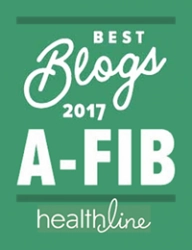 Steve shares that since finding his Atrial Fibrillation cure in April 1998, his mission has been to spare others the frustration, depression, and debilitating quality of life that Atrial Fibrillation caused him. 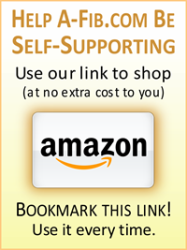 “…before I decided to go to CHU Hopitaux de Bordeaux in France, I was on and off many, many different medications over the course of 15 months or so. None of them seemed to do much good. 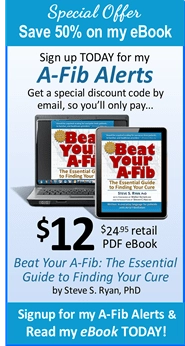 Then I had two catheter ablations of the right atrium, and one aborted attempt of the left atrium. All to no effect. 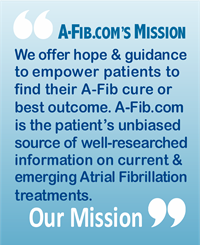 Continue reading to learn how Steve educated himself about his Atrial Fibrillation and sent his records to the best EPs in the U.S. for advice. And how he decided to travel to France to see Dr. Michel Haissaguerre, the world-reknown researcher and cardiac electrophysiologist who discovered the link between A-Fib and the Pulmonary Veins and who invented the PVI procedure. 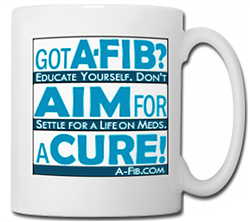 Go to the first A-Fib.com personal experience story: Steve S. Ryan: Finding My A‑Fib Cure by Early Focal Catheter Ablation Procedure in 1998. Rainbow over Steve’s hospital room after his second PVI; We took it as a blessing for his cure!